Turning Vision Into Action: Choose to Be An Inequity Eraser! Choose to Be An Inequity Eraser! 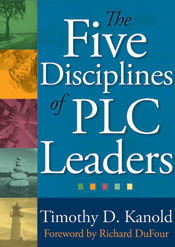 Until recently, there has been a mystifying silence in the PLC leadership literature about how the discipline of service and sharing—hallmark qualities of all teachers and leaders in a professional learning community—serves as an inequity eraser for the social injustices caused by isolated decision making and the resultant wide variance in student learning experiences. Decisions made in isolation or as a result of teacher or administrative learning team dysfunction affect the rigor of daily classroom task selection choices, ongoing rigor for assessment task selection, and instructional lesson design practices. These noncollaborative decisions are primary contributors to this variance. Inequities can be seen throughout the K–12 curriculum teaching and learning experience, unfortunately. At least six areas of inequity are created by the failure of grade-level or course-based faculty and administrative teams to work together within a serving and sharing school culture. As PLC leaders, it is your task to attack these inequities with passion and persistence. This summer is a good time to reflect on your performance in this area of your school leadership, and commit to improved action in 2011-2012. 1. Access inequity. This inequity is seen in who gets access into the school’s various academic programs once tracking begins in fifth grade and beyond. Most kids are locked into a permanent track as early as sixth and seventh grade. How is it decided who gets into and out of a level or track? 2. Task selection inequity. The selection and rigor of daily tasks and experiences performed by students each day in class reveals inequities in the quality of lesson planning and design from teacher to teacher. 3. Formative assessment inequity. Task selection and level of rigor of daily in class prompts and tasks used by teachers to assess student understanding also vary, as do rigor and task selection for homework assignments, rules for make-up work, and the depth and quality of teacher feedback on formative work. 4. Summative assessment inequity. Inequities can emerge in the rigor in task selection that teachers or teacher teams use for unit tests and quizzes. How do you, as the school leader, define high-quality assessments for each academic discipline, grade level, or course? How high is your tolerance level for tests and exams that either do not meet the prescribed standards or vary widely in task rigor from teacher to teacher of the same course or grade level? 5. Grading inequity. The grading of all assessments, formative learning, and effective feedback loops is one of the areas of greatest inequity. Assessment tasks must be discussed and agreed upon by all team members to arrive Assessment tasks must be discussed and agreed upon by all team members to arrive at an implementation of common practice. 6. RTI inequity. How variant, swift, and complete is the intentional and collective team response to instruction and intervention on all aspect of the academic programs you lead? How well do your responses demonstrate evidence that both students and teachers are becoming reflective learners? Teams attack the inequities and seek out “magnified impact” that is far greater than any individual could ever achieve. A team promises greater performance than a working group. A team will erase the inequities they personally cause. And it is hard work. The wisdom of Katzenbach and Smith was declared almost 20 years ago. What are we waiting for? Reflecting on PLC Team FLOW this summer! CCSS and the 2011 NCSM Summer Leadership Academy! 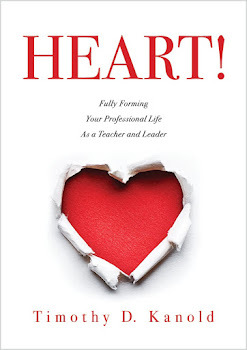 Knowing the Heart of Your Leadership Life!